The lithium market has recently astounded market analysts, miners and investors alike, posting double-digit growth since the start of the year. Even The Economist has weighed in on this typically peripheral market – one that’s going mainstream rather quickly. One asset is a potential ‘district scale’ lithium project, with strongly anomalous lithium up to 1000ppm Li in a lithium clay deposit. The lithium brine project already looks immediately appealing, as brine projects are the kind where capital and mining costs are typically less. And there are catalysts coming beyond the project acquisition – including the commencement of ground gravity surveying over the coming weeks as this company continues its due diligence. Our company hopes to quickly scale the ranks to progress its lithium projects through to production and raise its valuation. However it should be noted that this is still an early stage play, and a speculative stock, so professional advice should be sought if considering making an investment. Over the next five years, Tesla is expected to ramp-up its consumption of battery-grade lithium by over 25,000 tonnes per year – that’s 6% of global supply. That’s just Tesla’s alone – without including other battery manufacturers that are also jostling for position to dominate energy storage. With a potential lithium boom seemingly opening up, now could be the time to secure lithium exploration assets with a view of developing them – in time for the looming widespread take up of electric cars and energy storage solutions heavily dependent on lithium. This company is of exactly the same view. Lithium is being earmarked for a rapid growth phase on the back of increasing demand for lithium-ion batteries and lithium stocks are therefore rising. 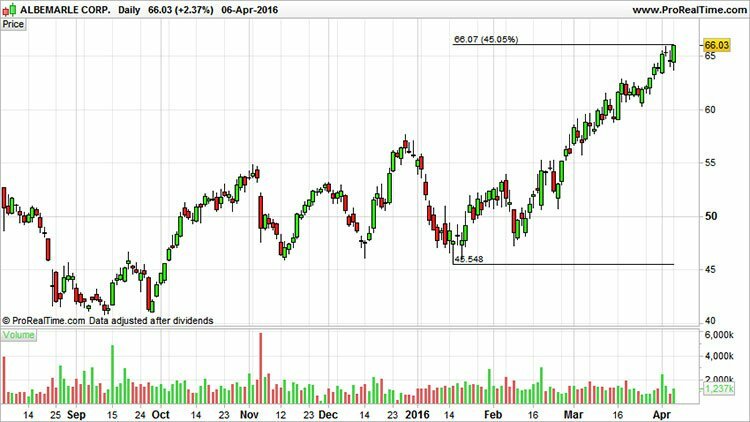 The trend at least since the start of this year is clear. 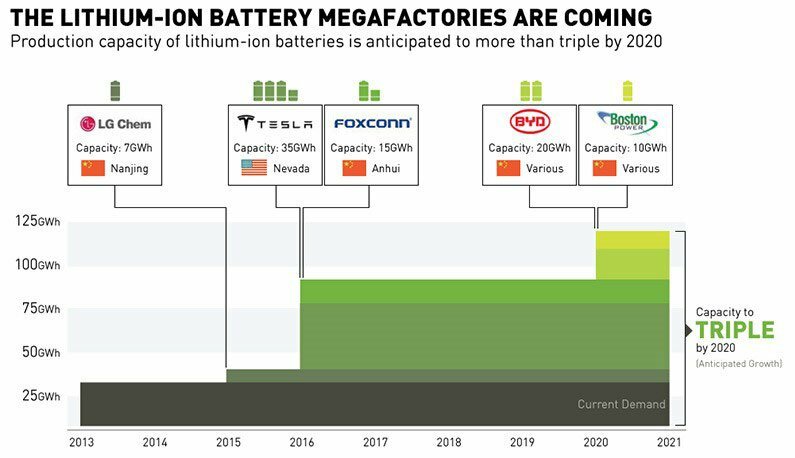 A key roadblock for companies looking to produce lithium-ion batteries en masse, is the currently low annual supply of their key ingredients including lithium, graphite and cobalt. 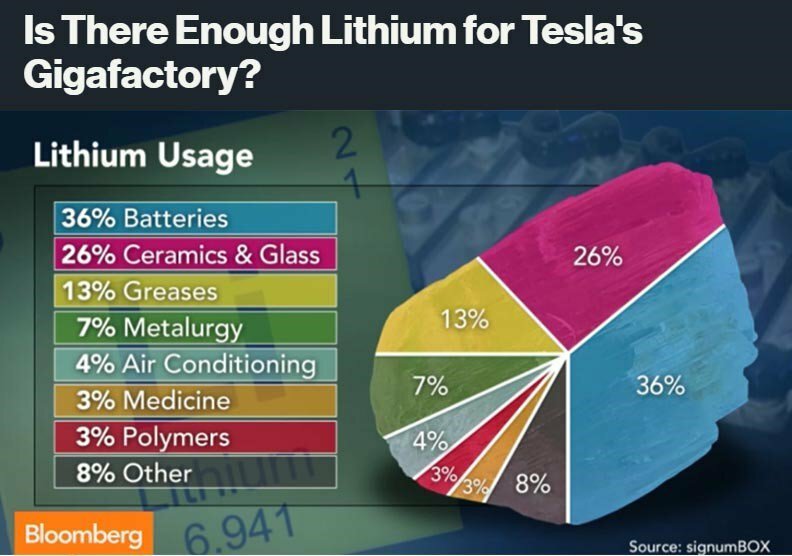 This has roused dozens of resource companies into digging for lithium and graphite as the two most important elements in future battery technology. Here at The Next Small Cap we’re all about finding undervalued companies that have something up their sleeves for early investors. 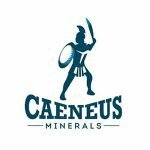 Caeneus Minerals Ltd (ASX:CAD) is one such company whereby its previous forays into nickel have unfortunately come to a pause following the nickel downturn in recent months. 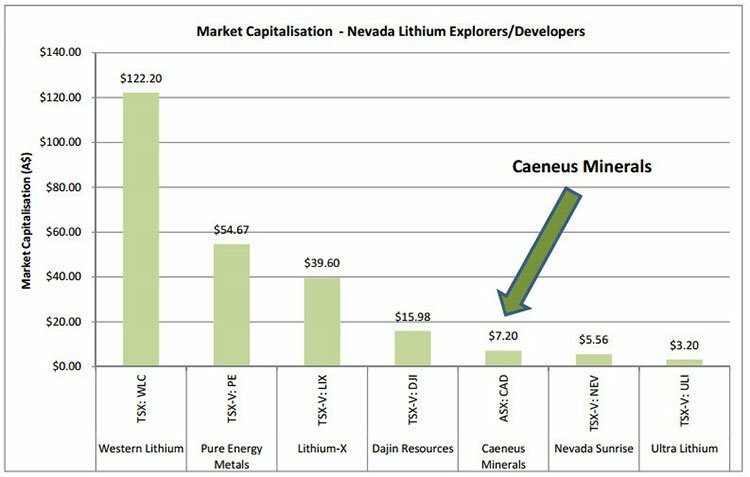 CAD still has a nickel project that will be progressed in the future, but while nickel prices remain low CAD has moved to diversify its portfolio by acquiring two potentially lucrative lithium projects in the heartland of future lithium demand: Nevada in the US. CAD currently represents a ground floor entry on the US lithium wave – the stock is trading at $0.001 – the same price as sophisticated investors bought in when the company recently raised $482,645. At the same time, this is a speculative investment, and there is no guarantee of success – investors should consider their own personal circumstances if considering investing. Let’s take a look at what exactly CAD has acquired. As you can see, CAD’s Muddy Mountain and Lida Valley projects are situated near Tesla – a company that is leading the global energy storage renaissance. Tesla has publicly said it will prioritise North American lithium supply when looking for offtake deals. Muddy Mountain is a potential high impact ‘district-scale’ lithium clay project, with strongly anomalous lithium up to 1000ppm Li. As we mentioned earlier, capital and mining costs can be significantly less when dealing with brine deposits and the lithium can be extracted from a liquid rather than hard rock. About two thirds of the world’s lithium resources are within brines/salts, which bodes well for CAD. Historically, Lida Valley has identified gravity and resistivity consistent with lithium rich brine deposits and further ground gravity details indicate a stratographic and structural setting favourable for lithium brine deposits. The really positive play with regard to Lida Valley is that it is drill ready, with work scheduled to begin on the project once the acquisition deal is finalised. As is the case with any junior explorer, funding becomes a key aspect when there’s exploration afoot. For CAD, a recent placement of $482,645 will go directly towards progressing Muddy Mountain and Lida Valley as the two high priorities. 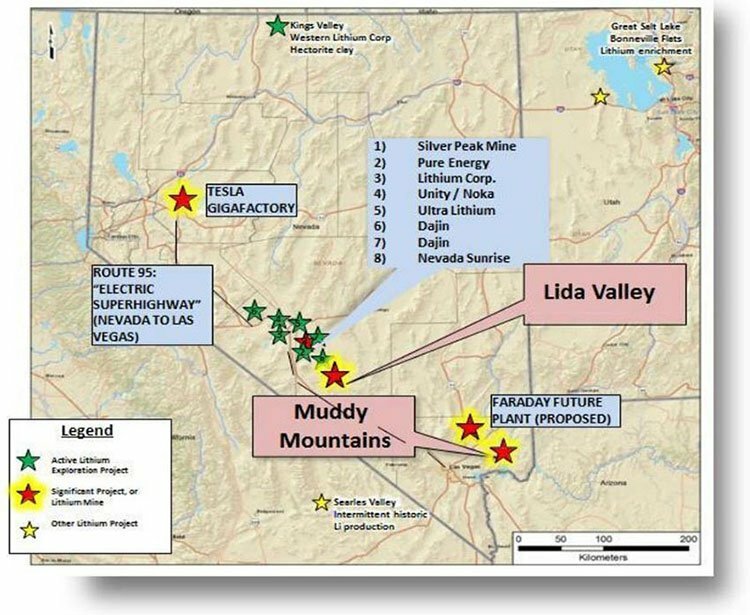 If CAD’s proposed acquisition of Muddy Mountain and Lida Valley goes through over the coming weeks, it will be operating among six other lithium explorers in close vicinity. CAD has some catching up to do, and given the change of priority from nickel to lithium, we expect busy times ahead for CAD’s lithium exploration. Currently, the only lithium mine in the US belongs to Albemarle Corp (NYSE:ALB), a US$7BN juggernaut with operations 40km from CAD. 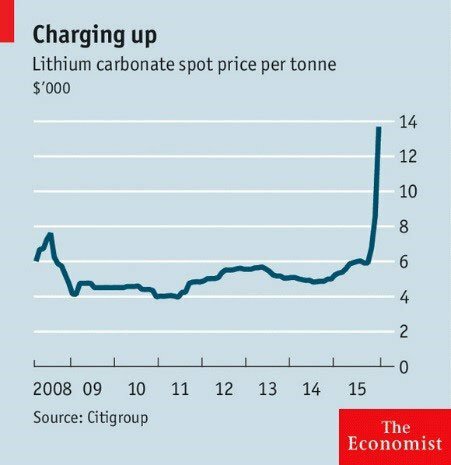 Could it be that lithium allure is translating into higher valuations for lithium miners and explorers? Quite possibly although it is still too early to tell. CAD wants to emulate this market leader by progressing its lithium projects through to production –which would raise its valuation many times over from current levels. Tesla’s Model 3 and its broader energy storage mission plan has most definitely put the cat amongst the pigeons in lithium circles – which makes CAD’s move into Nevada all the more interesting. Steven Elliott has been in geology for over 30 years, specifically in mineral exploration and has worked all over the globe. He was the co-founding director of Helix Resources Limited and listed Talisman Mining Limited in 2005 – now capped at $85 million. While Helix is still a small company, capped at just under $10 million, it had some big wins with Mr Elliott there and has gone onto bigger things since. Tesla’s most recent lithium supply agreement was with Canadian-based Pure Energy Minerals who will supply only a portion of Tesla’s needs with the remainder to coming from other sources . Tesla’s plans are to build around 500,000 EV cars per year so the deal with Pure Energy is likely to be one of many other deals given that one company will not be able to cover all of Tesla’s lithium demand. A couple of months before that, Tesla signed its first conditional supply deal with Bacanora and Rare Earth Minerals to obtain lithium from a mine in Northern Mexico. It would seem that as Tesla is preparing its huge production line, it is gradually cherry picking the most attractive lithium projects close to its gigafactory in order to keep costs low and supply lines well stocked. It may also be shoring up its stocks because the company is facing stiff competition from other American car manufacturers as well as Asian competitors who also want a slice of the EV pie. 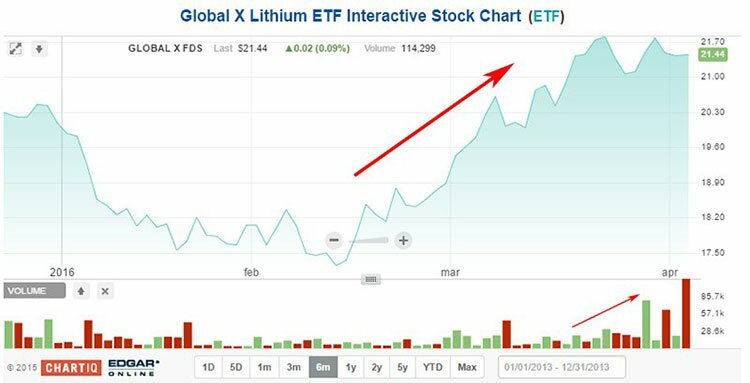 Tesla isn’t the only energy storage/electric car manufacturer out there, so the outlook for lithium and graphite is looking positive given the above estimates. Did Elon Musk let the cat out of the bag? The admission came after Tesla managed to take pre order deposits for almost 300,000 EV cars at a unit price of $35,000-$42,000 in 3 days. Just to put that into perspective, the best-selling US car for the entirety of 2015 was the Toyota Camry with 361,111 unit sales, priced at $21,000 – $28,000. What this demonstrates is that Tesla has quite possibly pushed electric cars from the periphery directly into the main vein of consumer sales. 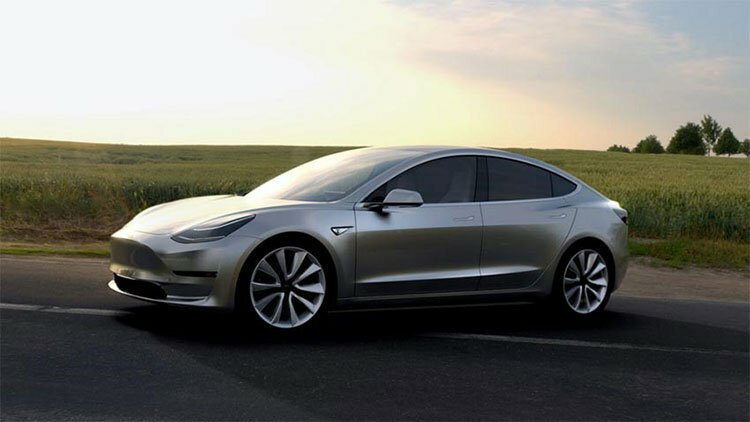 If people are willing to spend almost double for a brand new Tesla EV car, compared to a comparable combustion engine version it could possibly mean that electric cars are rapidly surfacing as the preferred option for new car buyers. ...but also for other EV manufacturers based in the US and Asia. Also benefitting from the EV car revolution are lithium, graphite and cobalt suppliers because those are the three key elements in producing lithium-ion batteries used in EV cars. With all the attention shifting to lithium, CAD’s other asset is a potential high-value nickel project, also recently acquired as part of a JV deal with Segue Resources (ASX:SEG) – who regular readers may well be familiar with, as it’s a company we have covered a few times previously. If the nickel prices heads north again, this project in CAD’s back pocket could start to really come in handy. The deal was made in October last year through the takeover of Port Exploration Pty Ltd, which was finalised in December . 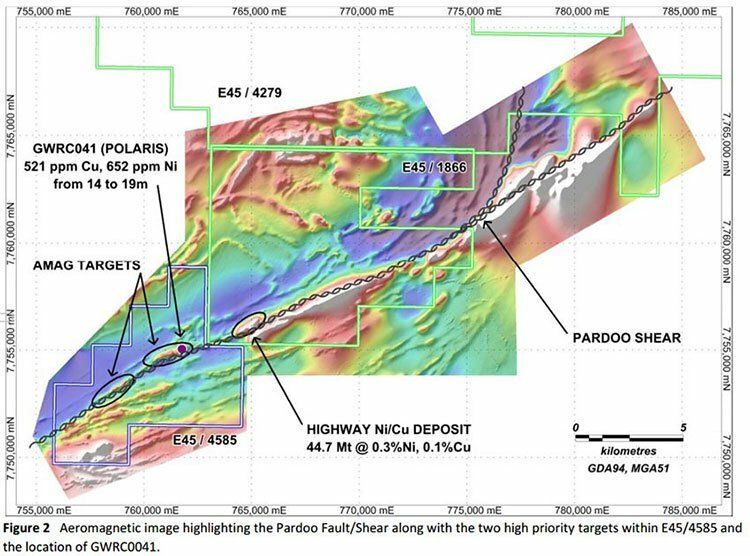 The project has recently had a detailed aeromagnetic survey completed with results showing several high priority anomalies and ultramafic rock – the preferred host rock to many primary nickel sulphide deposits. 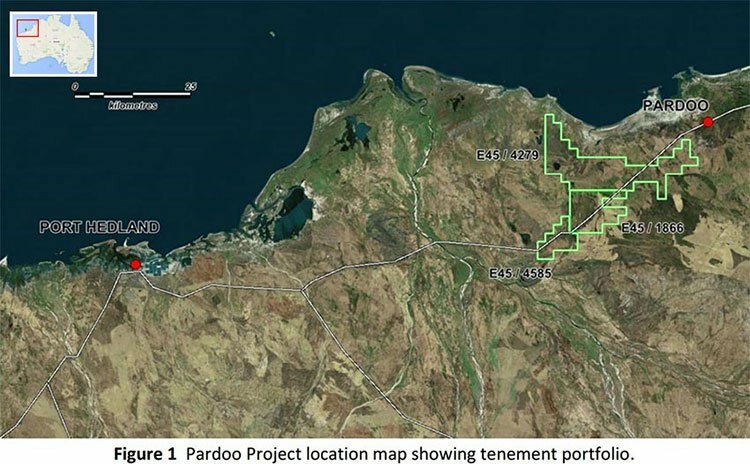 Pardoo already has an Inferred Resource of 44.7Mt @ 0.3 Ni % 0.13% Cu, which makes progressing this project more straightforward considering the historical data already available. CAD’s current focus is firmly on lithium in Nevada, but if and when nickel prices recover sufficiently, the Pardoo project can be progressed with SEG as the development partner. One other noteworthy point about the JV deal is that CAD has reserved the option to scale-in further , up to 100% subject to conditions. For the time being, the plan is to conduct a detailed assessment of the project’s largest intrusions including detailed ground-based gravity surveys and moving loop EM surveys. These will be followed up by well targeted RC and diamond drilling programs which could turn out to be strong catalysts down the road. CAD has flown in and grabbed our attention courtesy of its well-timed move into Nevada and lithium exploration. With lithium prices now making their move higher on the back of battery demand, we think now could be a great time to look for well located, compelling lithium projects with a high potential of offtake at some stage in the future. Capped at just A$2.4M but with excellent lithium (and nickel) projects under its belt, CAD is a cheap entry point at $0.001, considering the estimates flying about regarding future energy storage and demand. However investors should not base their investment decision on estimates alone, seek professional advice in any decision you make. CAD’s upcoming catalysts include the commencement of more ground gravity surveying over the coming weeks as part of the Company’s due diligence process– a common move by junior explorers having just acquired a flagship asset. As lithium prices grab more headlines and generate more interest from investors, CAD is well positioned to intercept this trend and snuggle itself right into the inner sanctum of tomorrow’s lithium oasis in Nevada.